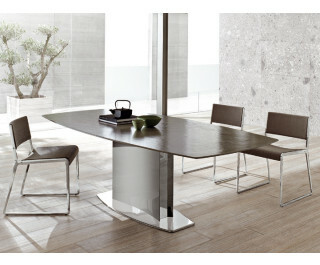 Formal and technological innovation for this Stone table with mirror-polished stainless steel base. Top in marble or in Ductal® concrete “French grey”colour . A new generation of materials synonymous with Italian quality and elegance.